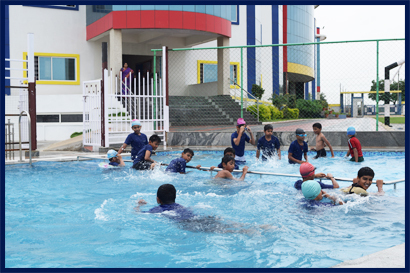 We, at Oak believe that swimming is an essential life skill which every child must know. Our Coaches enable them to teach our students under natural standards and guidelines. Our outdoor swimming pool is equipped with best safety standards so that every child can learn and enjoy this challenging sport.